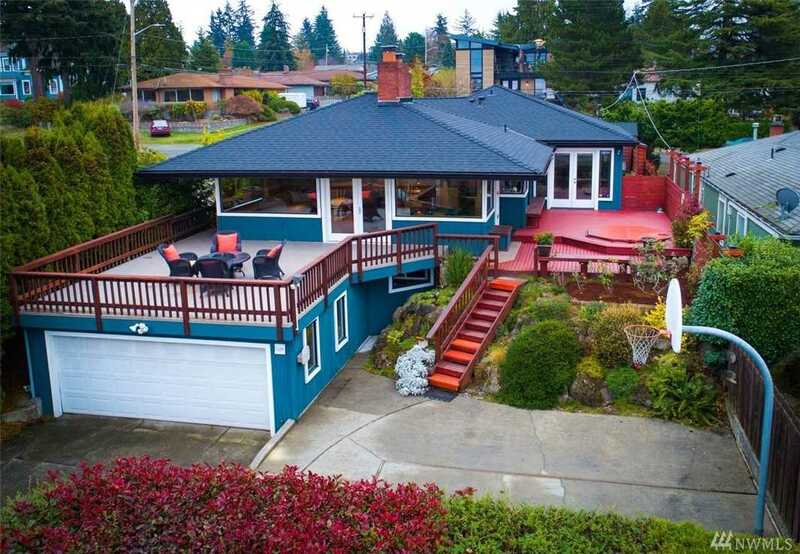 Picturesque NW mid-century home w/ breathtaking views of the Olympic Mountains & Puget Sound. Natural light brightens the open floor plan w/ stunning hardwoods & cozy gas fireplace. Vaulted ceilings & exposed beams in oversized master bedroom w/ huge walk-in closet, gas fireplace & access to deck with hot tub. Daylight basement features bedroom, bonus room, wine cellar, ¾ bath, gas fire, shop & storage room. Corner lot w/ fully fenced yard & expansive deck overlooking a once in a lifetime view! Directions:I5 to NE 130th St, Left at 3rd Ave NW, Right to 125th St, House on left. SchoolsClick map icons below to view information for schools near 12259 6th Ave NW Seattle, WA 98177.